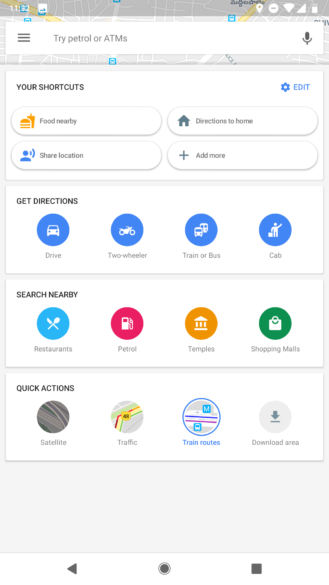 In Cody's past teardowns of Google Maps, one option popped up a few times: Shortcuts. 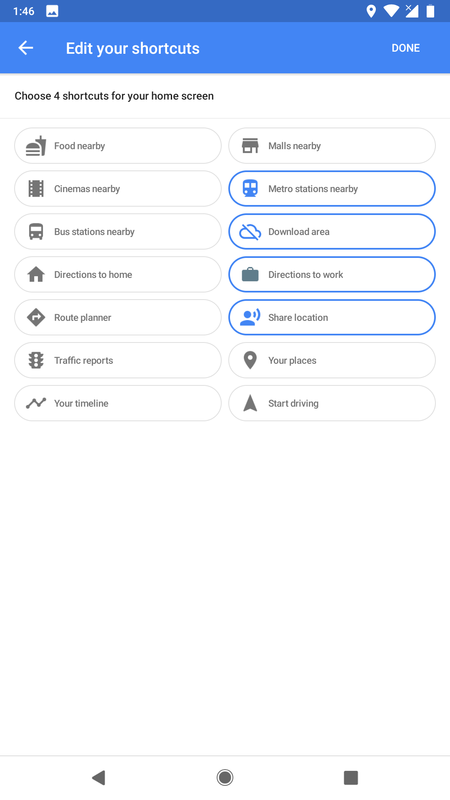 Until now, we hadn't seen the feature yet and hadn't received any tips about it, but it looks like it's starting to go live for some users. 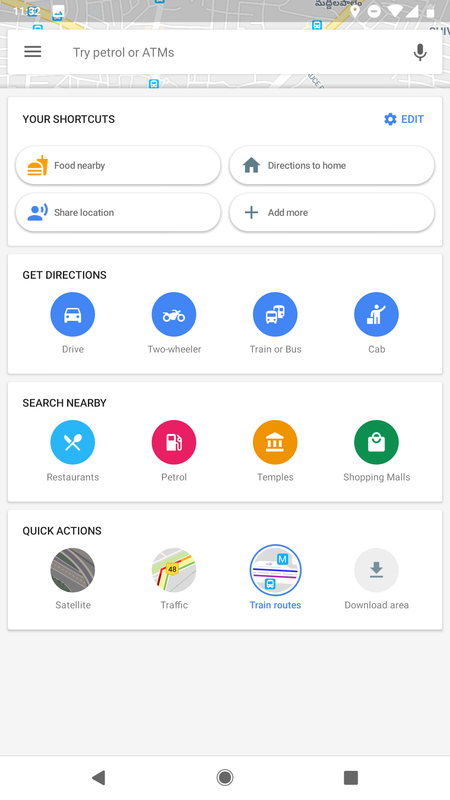 Our tipster has it in his Google Maps v9.72.2 but we can't replicate it on our versions yet so it seems to be a server-side update. 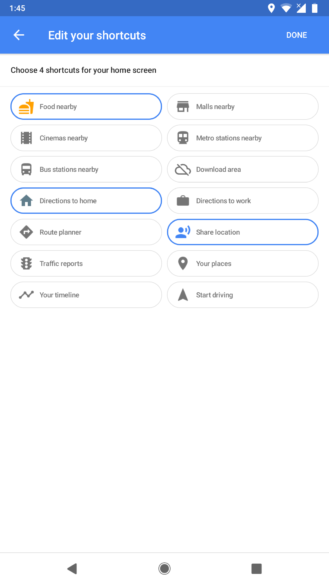 Shortcuts show up as a small card with 3 pre-populated options and an Add more one, along with an Edit button up top. Tapping on them performs the action immediately, but you can also add a fourth one or edit them all. 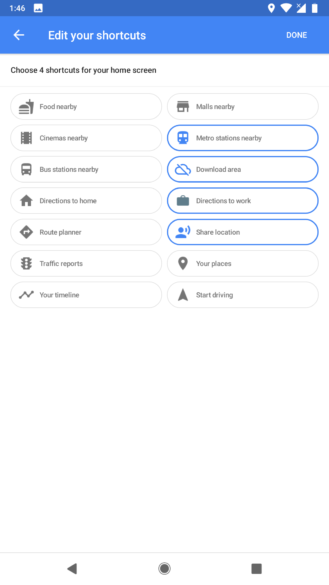 There are 14 options to choose from, including nearby food, cinemas, malls, bus and metro stations, directions to home and work, traffic reports, your places and timeline, offline download for an area, the route planner, location sharing, and start driving. Only 4 options can be chosen at a time, and once you've picked the ones you want, they'll populate your shortcuts. This is a handy feature, but it looks like the implementation now is still lacking the more personal options that Cody uncovered in the more recent teardowns. Those will hopefully come later. 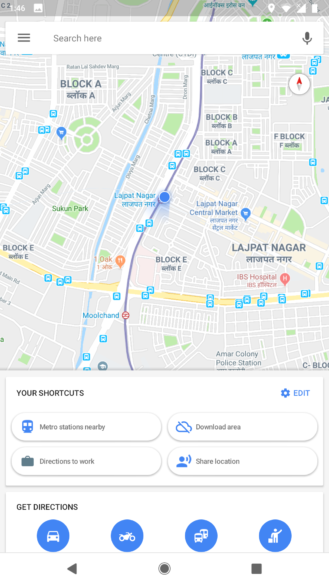 Since we've only received one tip about it, we're not sure how prevalent these shortcuts are and whether or not they could possibly show up for users outside of India. 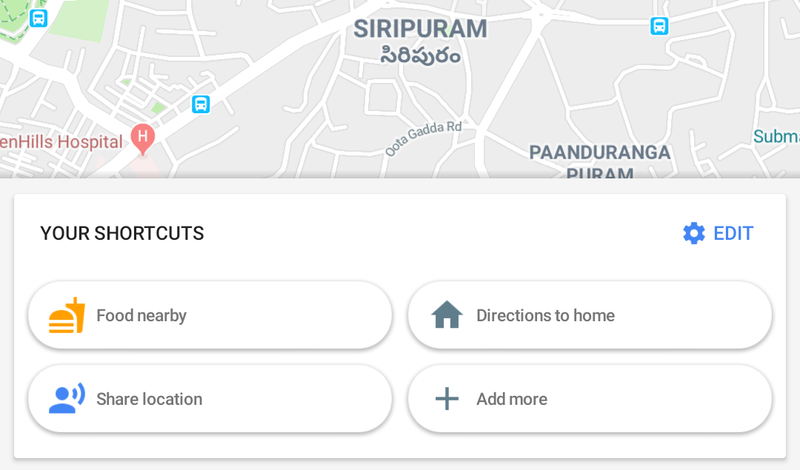 Our tipster lives there and has the Maps UI with the bottom pane that rolled out in India last May (which is unlike the Explore/Drive/Transit bottom pane that we got through the rest of the world). It's possible that shortcuts are aimed at the Indian Maps UI, but let's hope they're coming worldwide as they can be super useful.